This first-of-its-kind product makes protecting your investment easier than ever before. Just apply our Patent Pending All Purpose Granules as directed and start enjoying your landscaping… not worrying about it. Deer, Rabbit, Squirrel, Mouse, Rat, Mole, Vole, Shrew, Skunk, Chipmunk, Woodchuck, Gopher, Groundhog, Porcupine, Elk, Beaver, Armadillo, Raccoon, Possum, Prairie Dog, Iguana, Lizard, Snake, Goose and Feral Cat. 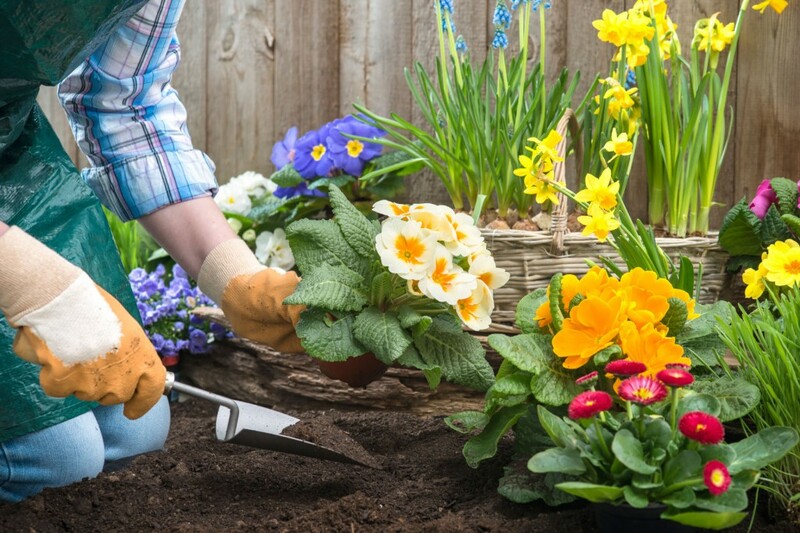 Apply Nature’s Defense twice a week for the first two weeks, then once a week for maintenance. 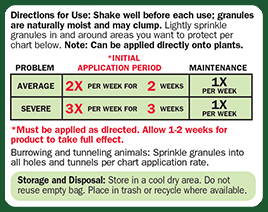 Lightly sprinkle granules in and around areas where animals are causing damage and or in areas you want to protect. Burrowing Animals: Sprinkle granules directly into all holes found in your yard, flower beds, along foundations, etc. Fill in hole(s) after 2 weeks or 4 applications. Tunneling: For mole or vole tunneling, poke a small hole every two or three feet along all tunnels. Sprinkle granules into each hole. Fill in holes after 2 weeks or 4 applications. Rodent Control Around Buildings: Sprinkle granules near all cracks or openings along the outside foundation of your house, garage, shed, or other buildings where rodents may enter.